Amy McCallum, who studied Interior Design with me, has branded her crafted lovelies under the Amy Lauren Creations banner. She creates gorgeous rustic treasures from salvaged and reclaimed items. 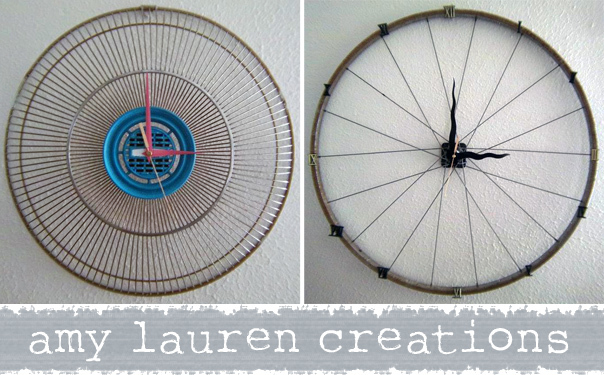 Her two upcycled wall clocks immediately grabbed my attention – they are made out of an old fan grid cover and a discarded bicycle wheel. The result is altogether unique and funky – I love its industrial feel! 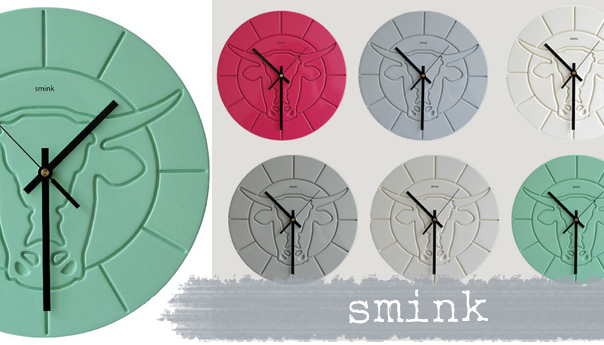 I love these quirky and colourful pop cow clocks by Smink! 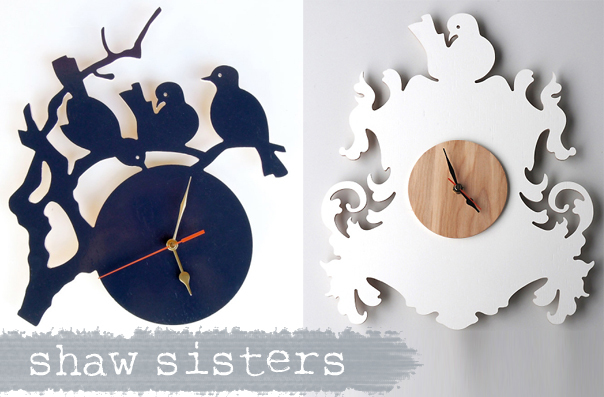 Love these whimsical clock designs by Durban-based creatives, the Shaw Sisters. 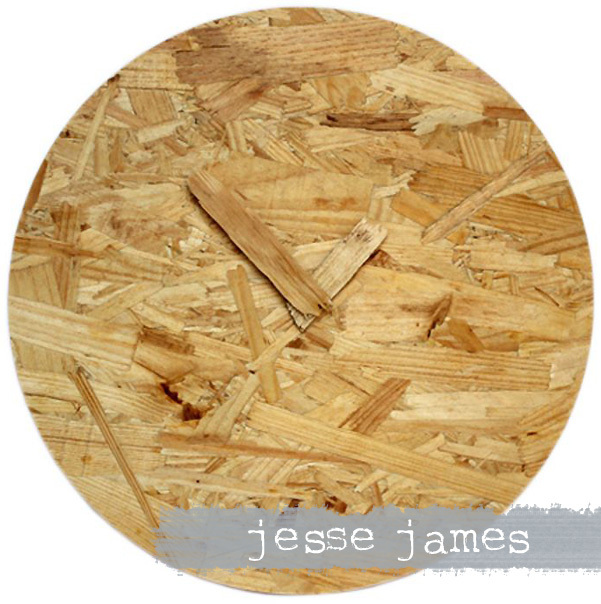 They’re made from 6mm CNC-cut Birch ply wood – you can purchase these from Meekel. 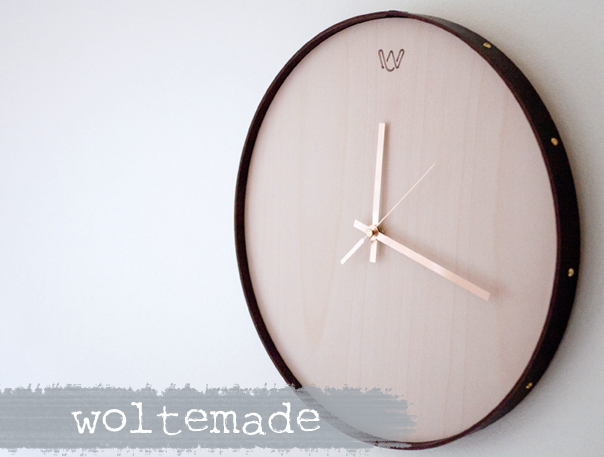 This little elegant beauty, designed by Woltemade, is called the “Free Range Clock” – it’s made from maple ply and has a leather and brass stud surround. Isn’t it just beautiful?! 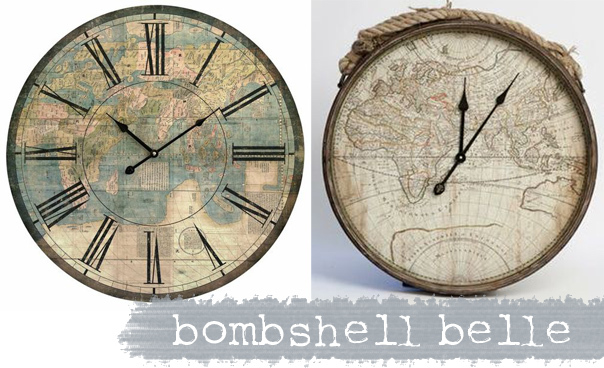 Found these awesome vintage map clocks on Bombshell Belle‘s website – their quite big too… about 60cm in diameter. I especially love the one on the right with the rustic rope detail – it’s got a very definite nautical feel. 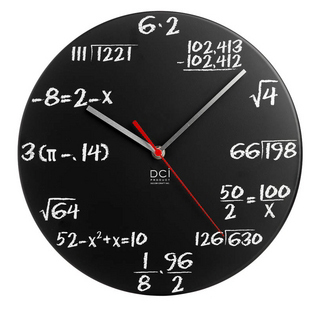 Below is some of the gorgeous and interesting international wall clocks I pinned to my Pinterest board… be sure to check out the board (here) for some awesome clock inspiration! 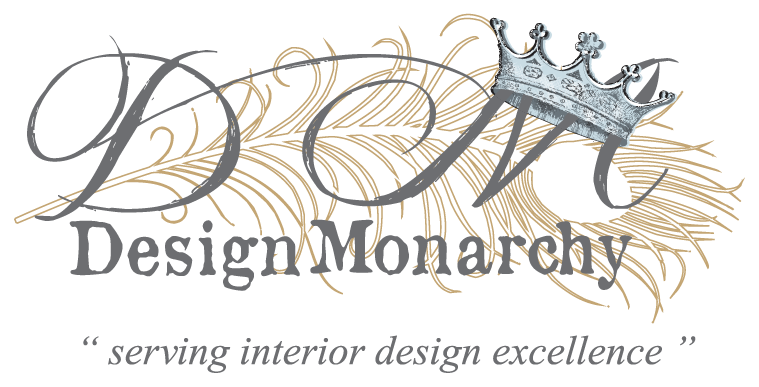 Graphic Wallpaper – Bold and Individual! 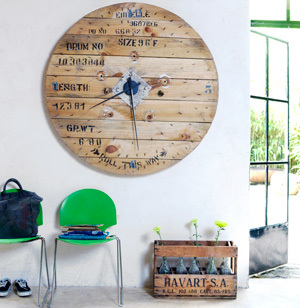 Thank you for featuring our beautiful clocks! 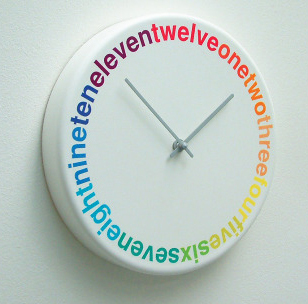 We have a whole new range of clocks and other home decor items arriving soon. Please have a look at our website for further details. It’s an absolute pleasure Mike! BTW – loving your scatter cushions! Super funky!